After conquering the Romans, your favourite comic characters were immortalised in chocolate. 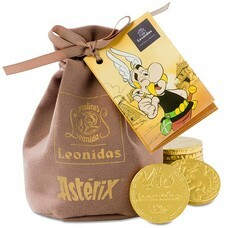 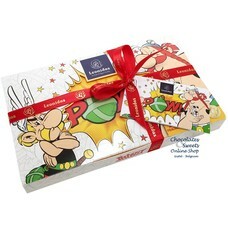 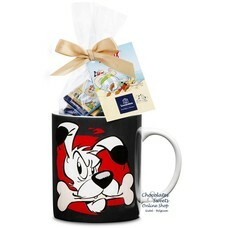 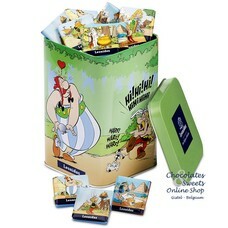 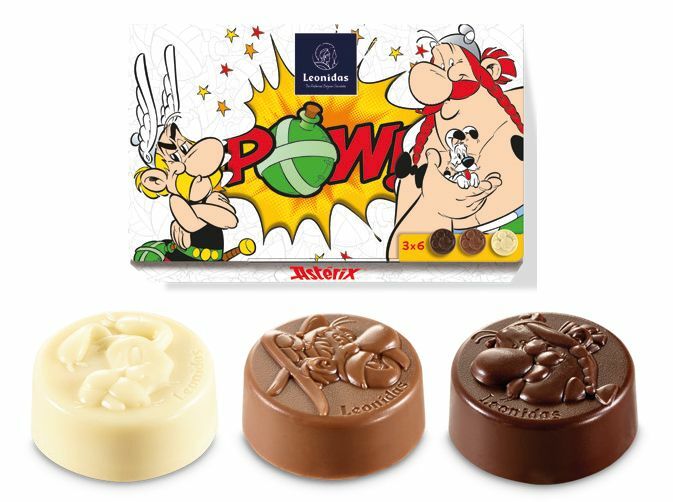 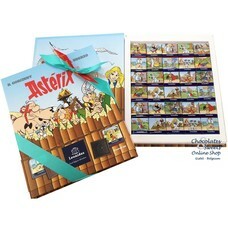 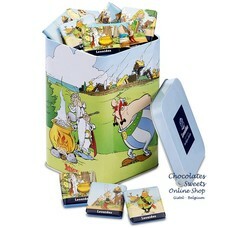 Asterix, Obelix and Dogmatix are available in dark, milk and white chocolate. 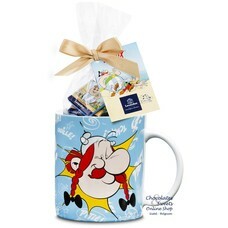 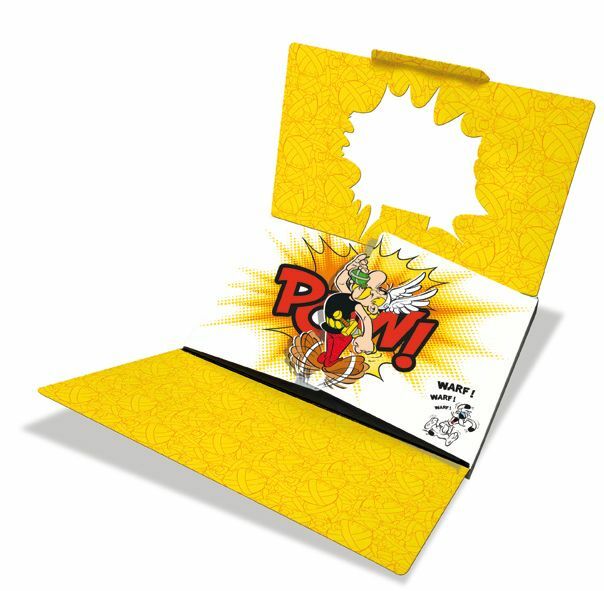 Packed in a fun box, they make a great present for young and old alike. 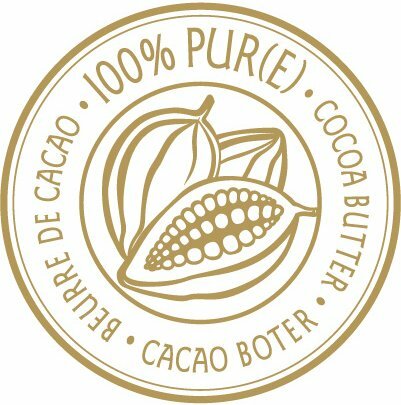 Ingredients and allergens: sugar, hazelnuts, cocoa mass, cocoa butter, whole milk powder, rice flour, emulsifier: soya lecithin, lactose, flavorings, carbon dioxide. 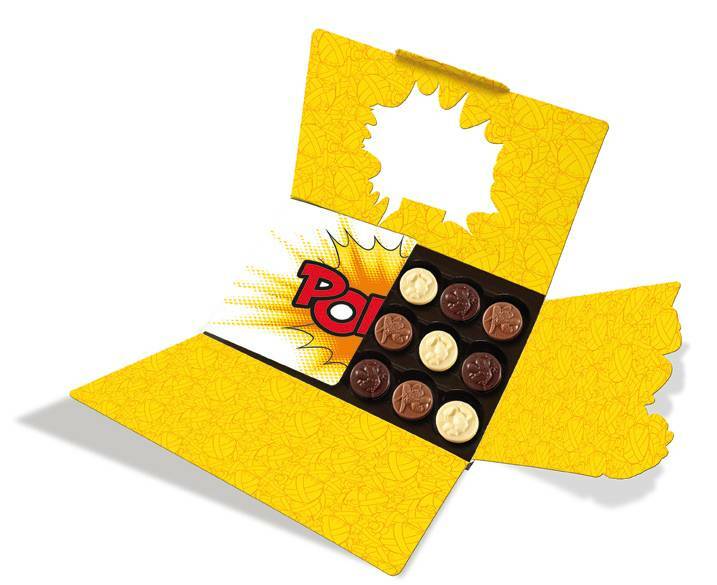 May contain traces of gluten and egg.